The Madison Police Department is dedicated to serving the citizens of Madison, IL by ensuring everyone has the opportunity to enjoy life to it’s fullest in our city. The core values of The Madison Police Department center around forming a partnership with our citizens, while respecting the value, dignity, and diversity of our city that enriches all lives. The pride of our officers and staff shines through everyday as we work to fairly and impartially carry out our department’s mission. 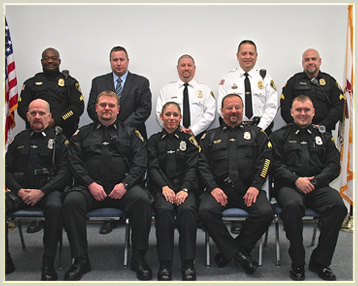 The Madison Police Department strives for excellence through the effective and efficient use of resources, which promotes teamwork and the empowerment of employees at all levels. You will find the department is an innovative and progressive organization dedicated to developing leadership, continuing education, and creating lasting partnerships with the community. The City of Madison Police Department is providing a way for all residents to have the opportunity to report any suspected illegal activity anonymously. The Madison Police Department will then conduct an active investigation of this reported activity. The Madison Police Department welcomes the use of this form. With the help of all of our citizens, we can increase the effectiveness of the Madison Police Department in dealing with criminal activity throughout the city.